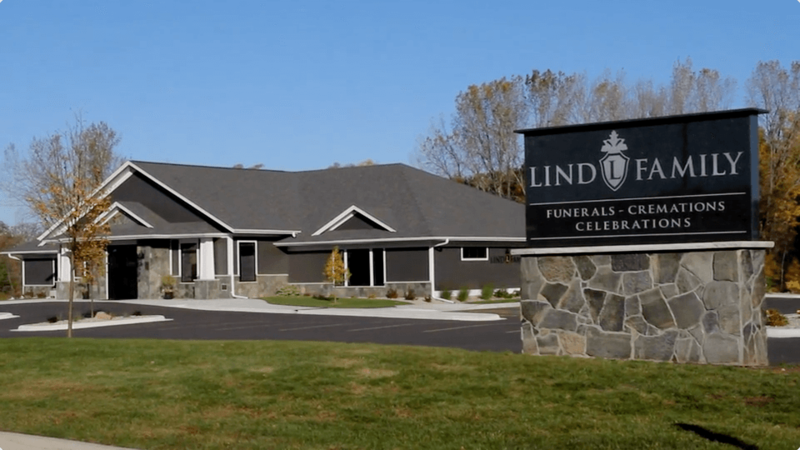 The Lind Family Funeral and Cremation Service traces its roots to funeral service in the Parkers Prairie and Miltona areas that was begun over 100 years ago. In 1892 Charles Grengnagle, the first licensed mortician in the state of Minnesota, and his wife Nellie established a furniture store and undertaking business in Parkers Prairie. In 1938 Pete Hammes bought the business and provided ambulance and funeral service until 1940 when Oscar Palmquist took over the operation. In 1965 Robert and Dottie LaMere succeeded Mr. Palmquist and discontinued the ambulance service in 1972 when a local ambulance service was founded. The LaMere's continued to service the needs of the Parkers Prairie area until 1992 when Ron and Kris Marham bought the business. The Markhams added a funeral chapel in Miltona in 1999, providing expanded service to the lakes community. In 2004 Curt and Barb Lind, both licensed funeral directors and graduates of the University of Minnesota, took over ownership. Since that time they have remodeled and redecorated both funeral chapels to ensure a warm, comfortable and homelike atmosphere for the families they serve. In 2015, they added a third chapel, located in Alexandria. The Linds pride themselves in being able to carry on the professional and compassionate traditions established by their predecessors.